State officials also are seeking funds for a new Utah County store. Scott Sommerdorf | The Salt Lake Tribune There are not many parking spots available for those shopping at the small state liquor store at 1615 Foothill Blvd. in Salt Lake City, Thursday, Feb., 15, 2018. Scott Sommerdorf | The Salt Lake Tribune The state liquor store at 1615 Foothill Blvd. in Salt Lake City, has room for just two checkout lines, Thursday, Feb., 15, 2018. 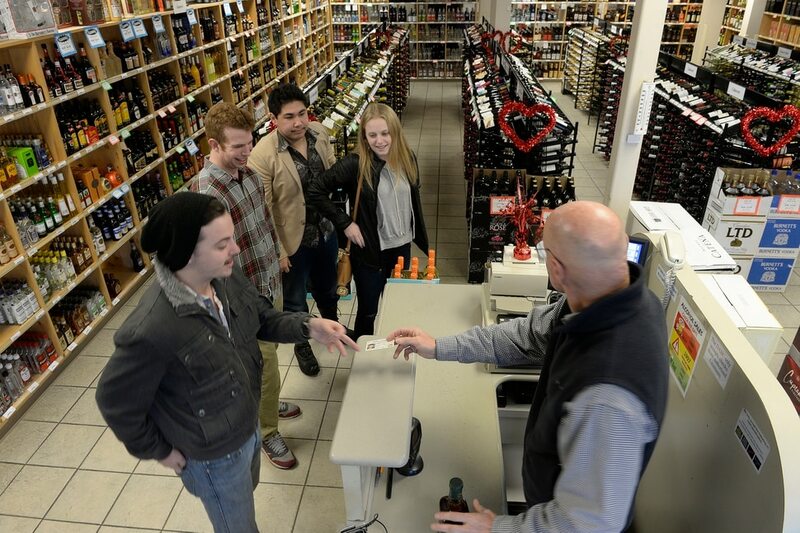 Scott Sommerdorf | The Salt Lake Tribune Connor Roberts, left, makes a purchase as he and his other friends all had to produce their identification at the state liquor store at 1615 Foothill Blvd. in Salt Lake City, Thursday, Feb., 15, 2018. Scott Sommerdorf | The Salt Lake Tribune Looking through one of the sets of shelves at the state liquor store at 1615 Foothill Blvd. in Salt Lake City, Thursday, Feb., 15, 2018. (Scott Sommerdorf | The Salt Lake Tribune) The tiny loading dock at the state liquor store at 1615 Foothill Blvd. in Salt Lake City, Thursday, Feb., 15, 2018. (Rick Egan | Tribune file photo) Security guard Melonie Thompson visit with people outside the liquor store on 200 West and 400 South, Thursday, July 6, 2017. (Rick Egan | Tribune file photo) Shoppers enter the door of the state liquor store on 200 West and 400 South as the doors open at 11 a.m., Thursday, July 6, 2017. (Rick Egan | Tribune file photo) The parking lot is often full at the state liquor store on 200 West and 400 South, due to the mix of clientele that shop at the downtown store. (Rick Egan | Tribune file photo) A line forms outside the door of the state liquor store on 200 West and 400 South before it opens at 11 a.m., Thursday, July 6, 2017. (Rick Egan | Tribune file photo) There is a mix of clientele that shop at the state liquor store on 200 West and 400 South, the homeless population may not represent as big a share of the store's customers as people think, Thursday, July 6, 2017. (Francisco Kjolseth | Tribune file photo) Salt Lake County Mayor Ben McAdams has asked the state to relocate the liquor store in downtown Salt Lake City at 205 W. 400 South to help reduce criminal activity among the homeless. 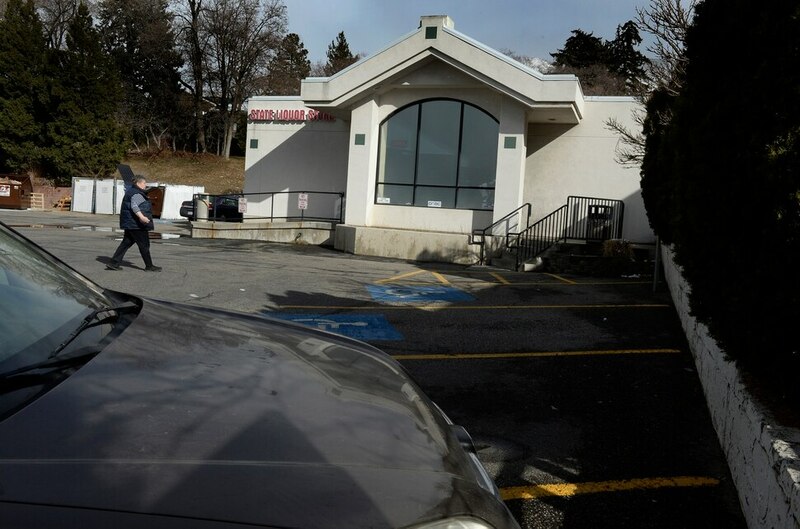 (Francisco Kjolseth | Tribune file photo) Salt Lake County Mayor Ben McAdams has asked the state to relocate the liquor store in downtown Salt Lake City at 205 W. 400 South to help reduce criminal activity among the homeless. (Francisco Kjolseth | Tribune file photo) Salt Lake County Mayor Ben McAdams has asked the state to relocate the liquor store in downtown Salt Lake City at 205 W. 400 South to help reduce criminal activity among the homeless. (Francisco Kjolseth | Tribune file photo) Salt Lake County Mayor Ben McAdams has asked the state to relocate the liquor store in downtown Salt Lake City at 205 W. 400 South to help reduce criminal activity among the homeless. Two Salt Lake City liquor stores — among the oldest and smallest in the state — soon may be replaced. The liquor agency also is “actively searching for a solution” to the controversial store at 204 W. 400 South, Wood said. Last year, Salt Lake County Mayor Ben McAdams asked the DABC to relocate the liquor store, to help reduce criminal activity among the homeless. While the DABC has noted the request, a new downtown location is needed because the 400 South store “is old, small and in a location that doesn’t lend itself to delivery trucks and parking,” Wood said. The downtown store was built in 1982 and was the first to open as part of that era’s liquor system reforms. While small — 8,000 square feet — it had liquor sales of more than $13.1 million in fiscal year 2017, the 10th highest in the state’s 45-store system. The Foothill Drive store also opened in 1982 in a leased building that is even smaller — 4,200 square feet. Annual sales in 2017 were more than $4.6 million, 35th in the state. 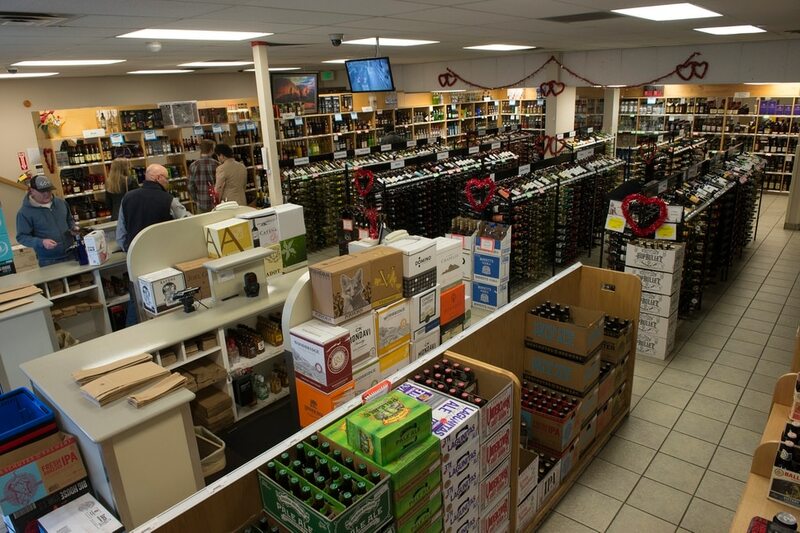 The DABC also has asked the Legislature for money to build a new liquor store in Utah County — focusing on the communities of Pleasant Grove, Lehi and Saratoga Springs, Wood said. It would be a second liquor store for the growing area. The DABC already operates an outlet at 671 S. Pleasant Grove Blvd. Syracuse • The DABC plans to break ground in March on a store at 865 W. Antelope Drive. The store is expected to open in late 2018. Herriman • A new liquor store, opening in spring 2019, will be built in a development area at 11800 South and Mountain View Corridor. Farmington • This store, set to open in April 2019, will be on state property near Station Park and the FrontRunner commuter train line. Foohill Drive project • The Lamplighter Square Shopping Center was bought in 2015 by Cushman & Wakefield. Since then, the commercial real estate company has purchased adjacent office buildings, apartments and the former Skyline Inn. “The master plan is to create a whole new shopping center using all the properties,” said Kip Paul, executive director of investment sales for Cushman & Wakefield. The company wants the liquor store to be an anchor tenant, Paul said, noting that property of the size the DABC needs “would be hard to come by” in that area. The DABC could opt to move the store to a different location. One option is to buy or lease property in the parking lot of the Walmart Supercenter at 2705 E. Parleys Way. The agency did something similar for the new West Valley City store. Either location is convenient for area residents, faculty and employees at the University of Utah and Research Park as well as tourists traveling to ski areas along Interstates 80 and 215. In addition to the liquor store, the redevelopment of Lamplighter Square could affect six other businesses: Taqueria 27, Foothill Fitness, Switch Salon, Pat’s Barbershop, Yola Pilates and a Texaco gas station. Keeping up with demand • Liquor store construction and replacement are moving at a faster pace in recent years. When Utah opened its 45th liquor store in West Valley City in 2017, it was the state’s first new retail outlet in seven years. Even with the new stores, the state needs at least 12 more in targeted areas — specifically along the Wasatch Front — to keep up with liquor sales and a growing population, according to a 2016 study conducted by Zions Public Finance, a division of Zions Bank. Utah’s population, about 3 million, is expected to jump to 3.9 million in 2030 and 4.5 million by 2040, the study shows. The state could have as many as 63 liquor stores under a legislative formula allowing for one liquor store for every 48,000 residents. A bill that would allow the state to build liquor stores at even a faster pace is moving through the Legislature. House Bill 149 creates a land acquisition fund of $7.5 million for the DABC. The agency can tap the money to buy property in communities where new liquor stores are needed. The fund should save the state money over the next five to 10 years as land and construction costs rise, said the bill sponsor, Rep. Gage Froerer, R-Huntsville.